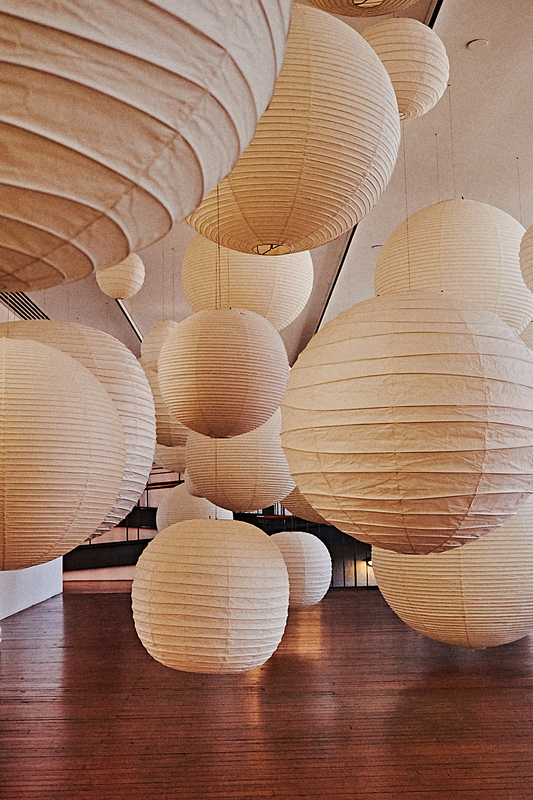 We visit The Noguchi Museum in Long Island City to visit his sculptures and his renowned Akari Light Sculptures and explore his identity forging paths between the east and west. Across the street from Rainey Park and a short walk from Socrates Sculpture Park in Long Island City sits a renovated factory that is the Noguchi Museum. Sculptor, land architect, furniture designer, and set designer, Isamu Noguchi's works span across a multitude of disciplines in his six-decade career. The quiet neighborhood the museum presides in exemplifies the personality of Noguchi and his works: hidden in plain sight. Born as Isamu Gilmore to an Irish mother and a Japanese father, Isamu's identity was caught in the cultural divide between east and west. The misfortunes of having an estranged father who left him at an early age to living with anti-Japanese sentiment during World War II spurred his drive toward self-expression of identity and belonging. Buckminster Fuller, a renowned architect and a close friend of Noguchi, talked about Noguchi's life as an artist born between two worlds. He explained that Noguchi’s ‘European Asiatic-American genes defied his conscious urge to settle down.’ Fuller saw that Noguchi envied natives who belonged to their land, and yearned a sense of belonging to some group of people. 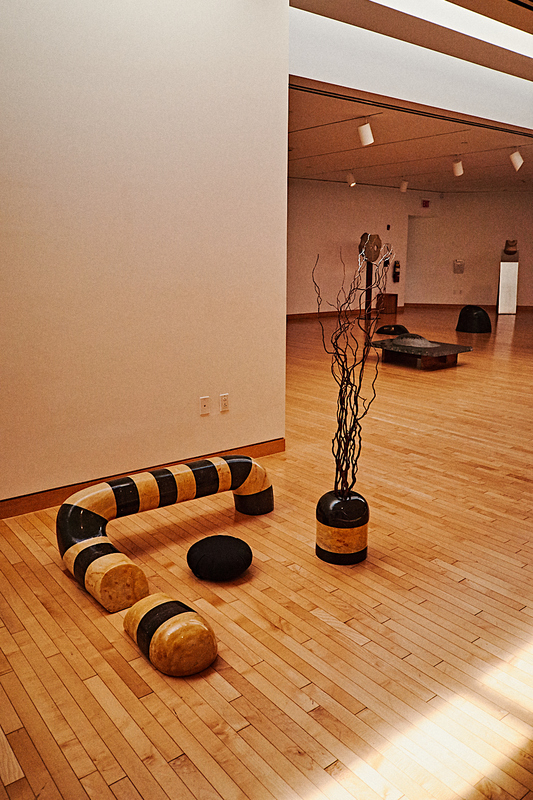 But for Noguchi that proved impossible, for fate carved a path for Noguchi to be a member of a world society. His unique background, his mother being the writer Leoni Gilmore and his father the poet Yonejiro Noguchi, gave Isamu a sense of multi-faceted sensibility and artistic acumen. Due to his multicultural lineage, Noguchi had the awareness of being born of Japanese tradition yet viewing it objectively, which brought new interpretations and realizations. It was only natural that self-expression and his quest for identity became the catalyst for his future creations. Even with his failed attempts during the war, Noguchi would find ways to bridge the east and west in his own methods. His postwar works included working as a set designer for Martha Graham, Buckminster Fuller, and Louis Kahn. In 1948, he went back to Japan to immerse himself in creating potteries and sculpture. In 1951, he premiered his designs for akari, which would be featured in the Noguchi Museum. His influence can be seen all over the world, from a bridge in Hiroshima's Peace Park, The Garden of Peace at the UNESCO headquarters in Paris, the Sunken Garden at Yale University, the Billy Rose Sculpture Garden in Jerusalem, to the 400-acre Moerenuma Park in Sapporo, Japan. Adding subtle Japanese influences to his sculptures and open spaces, Isamu Noguchi has carved footprints for the world to see the dynamic ties between the East and West. Plan your visit by checking out the Noguchi Museum Website, or view photos of the museum at their Instagram.